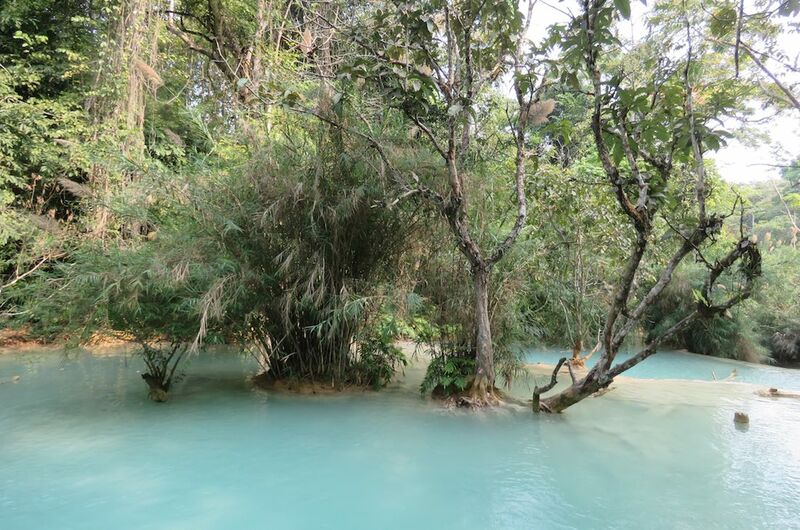 Amazing blue water at the Kuang Si Waterfalls near Luang Prabang, Laos. The water gets it color from dissolved copper and it really is an amazing and strong light blue color. Photos copyright John Hunter. Blue Water at Kuang Si Waterfalls is available for use as creative commons attribution. Only photos noted as available as creative commons attribution may be used without permission (in the manner described only), other photos may not be used without permission.